Sky Anytime+, the new video-on-demand platform, is to launch on Tuesday (26 October) to Sky+ high-definition subscribers. 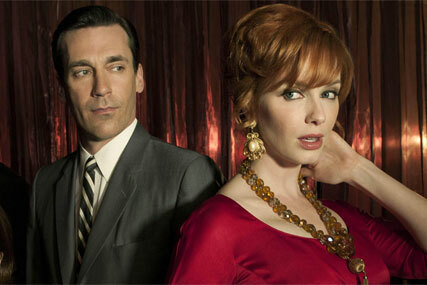 The service, which will be available free to high-definition subscribers with a subscription package over £19 a month, will allow users to access more than 600 films, entertainment and drama programming and drama box sets, which will incorporate series from US-broadcaster HBO, including new Sky acquisitions ‘Mad Men’ and ‘Boardwalk Empire’. Stephen van Rooyen, Sky’s deputy managing director of marketing, said: "Sky Anytime+ demonstrates the benefit of being able to use the best combination of distribution platforms in delivering what our customers want. "Through Sky Broadband customers can now explore a rich library of programming to watch on-demand through their TVs. Meanwhile satellite continues to satisfy the increasing demand for high bandwidth services like HD and 3D, and Sky+ continues to help customers define their own schedules from the best of the week’s TV." The majority of Sky’s HD boxes will be ready to receive the service by the end of the year with the remaining boxes to follow in a phased roll out through the first part of 2011. Earlier today, BSkyB posted a rise in profits of 25% to £255m for the third quarter of the year and now looks certain to reach its self-imposed target of 10 million subscribers by the end of 2010.